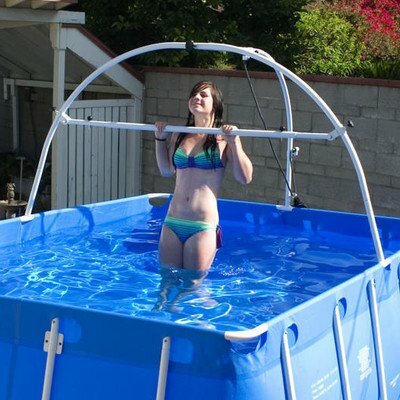 Get more out of your iPool with the iPool Gym Chin Up Bar! One of the best exercises for upper body, the Chin Up Bar will strengthen and define your shoulders. Water support helps you with better form, almost like having a spotter. Get more out of your iPool with the iPool Gym Chin Up Bar! Water support helps you with better form, almost like having a spotter. If you have any questions about this product by iPool, contact us by completing and submitting the form below. If you are looking for a specif part number, please include it with your message.